WEST PALM BEACH, Fla. - Thompson Raceway Park, nicknamed "Ohio's Thunder Capital," has renewed its sanctioning agreement with the International Hot Rod Association (IHRA). The IHRA Division 3 (North Stars) track helped launch the career of such drag racing icons as "Big Daddy" Don Garlits and "TV" Tommy Ivo. For the last several years, it has featured such amenities as a pedestrian bridge and a paved pit area for the racers. 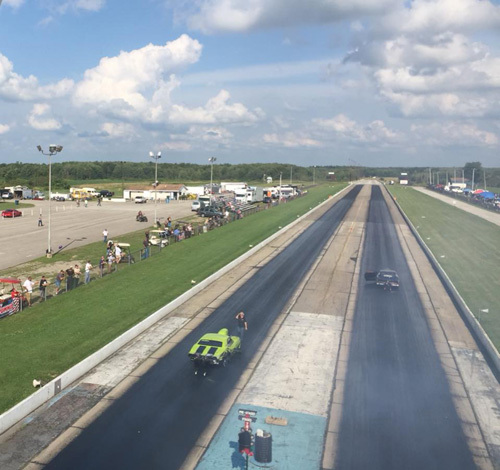 "There are only a handful of places left in the world where one can stand on top of two race cars as they leave the starting line," IHRA Division Director Jon O'Neal said. "There's a character that emanates from a track such as Thompson. The history, the amazing layout of the facility and the hard work that goes on behind the scenes are what make it notable." For more information about Thompson Raceway Park, click here to visit the track's website.